All the children are trying to earn golden tokens by making good choices and working hard. The 4 houses are in a competition to earn the most tokens and to get a treat for doing so. Treats are things like extra play, a disco or a non uniform day. 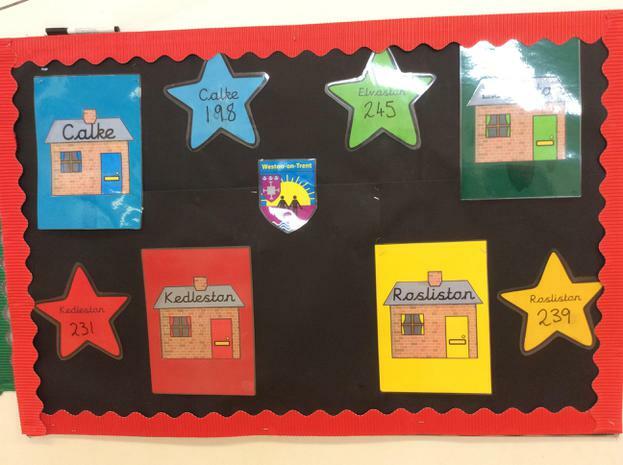 We will keep you updated on how the houses are performing so that you can see how your child's house is doing and encourage him or her to earn the all important tokens!